Young Stranger , 1957; formed John Frankenheimer Productions, 1963. Awards: Christopher Award, 1954; Bodil Film Festival Best American Film, for Seven Days in May , 1963; Emmy Award for Outstanding Individual Achievement in Directing for a Miniseries or a Special, for The Burning Season , 1994; Emmy Award for Outstanding Individual Achievement in Directing for a Miniseries or a Special, for Andersonville , 1996; Emmy Award for Outstanding Directing for a Miniseries or a Movie, for George Wallace , 1997; Ft. Lauderdale International Film Festival Robert Wise Director of Distinction, 1998; San Diego World Film Festival Lifetime Achievement Award, 1998; Casting Society of America Lifetime Achievement Award, 1998; National Board of Review Billy Wilder Award, 1999. Address: c/o John Frankenheimer Productions, 2800 Olympic Blvd., Suite 201, Santa Monica, CA 90404, U.S.A.
Andersonville: The Complete Original Screenplay , by David W. Rintels and James M. McPherson, Baton Rouge, 1996. "Seven Ways with Seven Days in May ," in Films and Filming (London), June 1964. Interview, in The Celluloid Muse , edited by Charles Higham and Joel Greenberg, London, 1969. Interview with Russell Au Werter, in Action (Los Angeles), May/ June 1970. Interview with J. O'Brien, in Inter/View (New York), August 1971. "Filming The Iceman Cometh ," in Action (Los Angeles), January/ February 1974. "John Frankenheimer: An American Film Institute Seminar on His Work," 1977. Interview with L. Gross and R. Avrech, in Millimeter (New York), July/August 1975. Interviews with R. Appelbaum, in Films and Filming (London), October and November 1979. Interview with P. Broeske, in Films in Review (New York), February 1983. Interview in Films and Filming (London), February 1985. "Frankly Speaking," an interview with K. Ferguson, in Photoplay Movies & Video (London), October 1985. "Dialogue on Film: John Frankenheimer," in American Film (New York), March 1989. "Drive, He Said," an interview with S. Modderno, in Movieline (Los Angeles), September 1989. "The Burning Season of John Frankenheimer," an interview with Mary Hardesty, in DGA Magazine (Los Angeles), August-September 1994. Pratley, G., "'Andersonville' Revisited," in Kinema (Waterloo), Spring 1996. Lally, K., "Frankenheimer Meets 'Dr. Moreau,"' in Film Journal (New York), August 1996. "Down under in Jungleland," an interview with Jean Oppenheimer, in American Cinematographer (Hollywood), September 1996.
" The Island of Dr. Moreau ," an interview with Michael Helms, in Cinema Papers (Fitzroy), October 1996. 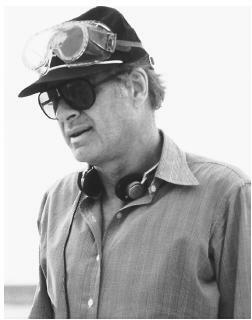 Champlin, Charles, John Frankenheimer: A Conversation , Burbank, California, 1994. Pratley, Gerald, The Films of John Frankenheimer: Forty Years in Film , Lehigh, Pennsylvania, 1998. Mayersberg, Paul, "John Frankenheimer," in Movie (London), December 1962. Thomas, John, "John Frankenheimer, the Smile on the Face of the Tiger," in Film Quarterly (Berkeley), Winter 1965/66. Casty, Alan, "Realism and Beyond: The Films of John Frankenheimer," in Film Heritage (New York), Winter 1966/67. Higham, Charles, "Frankenheimer," in Sight and Sound (London), Spring 1968. Filmer, Paul, "Three Frankenheimer Films: A Sociological Approach," in Screen (London), July/October 1969. Madsen, Axel, " 99 and 44/100 Dead ," in Sight and Sound (London), Winter 1973/74. Drew, B., "John Frankenheimer: His Fall and Rise," in American Film (Washington, D.C.), March 1977. Combs, Richard, "A Matter of Conviction," in Sight and Sound (London), no. 4, 1979. Cook, B., "The War between the Writers and the Directors: Part II: The Directors," in American Film (Washington, D.C.), June 1979. "Directors of the Decade: John Frankenheimer," in Films and Filming (London), February 1984. Article by Frederic Rosen in Video (New York), December 1984. Scheinfeld, Michael, " The Manchurian Candidate ," in Films in Review (New York), vol. 39, no. 11, 1988. Levy, Shawn, "Year of the Gun: John Frankenheimer's Sinister Formula," American Film , November/December 1991. Career overview in Film (London), February 1992. Weinraub, Bernard, "A Director Trying to Reshoot His Career," in New York Times , 24 March 1994. Zoller Seitz, Matt, "Those High-tech Shoot-em-ups Got the Formula from 'The Train,"' in New York Times , 30 April 1995. Mather, Philippe, "Le futur dans le rétroviseur," in Ciné-Bulles (Montreal), Autumn 1996. Askari, Brent, "Adapting Elmore Leondard: The Good, the Bad, and the Freaky-deaky," in Creative Screenwriting (Washington, D.C.), Summer 1997. LoBrutto, Vincent, "The Surreal Images of Seconds ," in American Cinematographer (Hollywood), November 1997. The seven feature films John Frankenheimer directed between 1961 and 1964 stand as a career foundation unique in American cinema. In a single talent, film had found a perfect bridge between television and Hollywood drama, between the old and new visual technologies, between the cinema of personality and that of the corporation and the computer. Frankenheimer's delight in monochrome photography, his instinct for new light cameras, fast stocks, and lens systems like Panavision informed The Manchurian Candidate, Seven Days in May , and Seconds with a flashing technological intelligence. No less skillful with the interior drama he had mastered as a director of live television, he turned All Fall Down and The Young Savages into striking personal explorations of familial disquiet and social violence. He seemed unerring. Even Birdman of Alcatraz and The Train , troubled projects taken over at the last minute from Charles Crichton and Arthur Penn, respectively, emerged with the stamp of his forceful technique. Frankenheimer's career began to sour with Seconds , a film that was arguably too self-conscious with its fish-eye sequences and rampant paranoia. Grand Prix , an impressive technical feat in Super Panavision, showed less virtuosity in the performances. His choices thereafter were erratic: heavy-handed comedy, rural melodrama, a further unsuccessful attempt at spectacle in The Horsemen , which was shot in Afghanistan. Frankenheimer relocated to Europe, no doubt mortified that Penn, Lumet, and Delbert Mann, lesser lights of live TV drama, had succeeded where he failed. Despite a career revival with the 1975 French Connection II , a sequel that equaled its model in force and skill, Frankenheimer has not hit his stride since—at lease with regard to his big-screen projects. The director's choices remain variable in intelligence, though by staying within the area of violent melodrama he has at least ceased to dissipate his talent in the pursuit of production values. Black Sunday is a superior terrorist thriller, Prophecy a failed but worthy horror film with environmental overtones, and The Challenge a stylish Japanese romp in the style of The Yakuza. Unfortunately, new directors who grew up with the Frankenheimer work as benchmarks do such material better. Frankenheimer's late 1980s and early 1990s features— Dead Bang, The Fourth War , and Year of the Gun —did nothing to resuscitate his career, and were quickly forgotten as they made their way to video store oblivion. Only the 1987 theatrical re-release of The Manchurian Candidate , after decades of unavailability, earned Frankenheimer high critical praise. In fact, the film was atop many critics' lists as among the best to come to movie houses that year. Additionally, the emergence of the high-tech thriller genre, so popular in the 1990s, has been critically traced back to The Train. From the mid-1990s, you might say that Frankenheimer returned to his professional roots, re-crossing that bridge between theatrical films and television. He did not completely abandon big-screen features, directing one generic espionage yarn ( Ronin ), one pedestrian crime tale ( Reindeer Games ), and an undistinguished adaptation of H.G. Wells's The Island of Dr. Moreau. The last is of note only for the presence of Marlon Brando, hamming it up outrageously. By far Frankenheimer's best films of the period—and most acclaimed work in years—are a quartet of fact-based, social issue-oriented TV movies. Against the Wall is a solid prison drama that retraces the events surrounding the 1971 Attica prison riots. The Burning Season is even better: an outstanding, politically savvy account of the life of Chico Mendes, the political activist/union leader who battled against the exploitation of those who toil in the Amazon rain forests of Brazil and paid for his valor with his life. The final two may be linked as chronicles of one aspect of the mid-nineteenth century and mid-twentieth century American South. Andersonville offers a vivid portrait of the infamous Confederate prisoner-of-war camp, where almost 13,000 Union soldiers died; George Wallace is a solid biopic about the controversial anti-segregationist Alabama governor. All were above average, quality-wise. Three of them even netted Frankenheimer Best Direction Emmy Awards. We're just in the process of mastering our second album, which is called "Seconds"
The end track is called Second's Out, I'm producing the album and it just came to me yesterday that the words at the end of the film, fit perfectly with the music. I'm referring to the words,"you were my best work Mr Wilson, I'm sorry it had to end like this"
We would like to be able to use this on the album and are asking your permission. We don't anticipate to make much money from this release, if any (we made a loss on our first) but as corny as it sounds, we're doing it for the music/art. If you refuse, fine, we'll remove it and won't use it or if you demand an exorbitant fee for it's use, again (because we're all paupers) we'll remove it. I apologise if I'm rambling in the wrong place?? If some nice person could give me the contact (preferably email) who owns the right, I would be very grateful.